If you’re looking for Photoshop Halloween brushes, you’ve come to the right place. 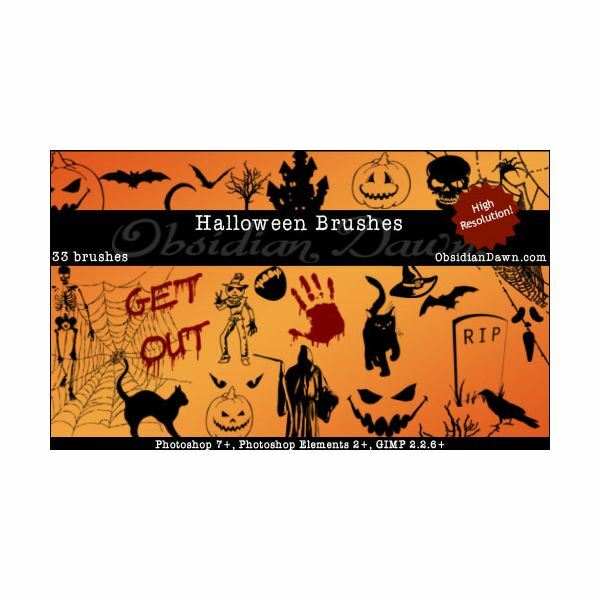 In this article, you’ll find all sorts of different types of Halloween themed brushes that you can use to decorate everything from invitations and printwork to trick or treat bags and website graphics. Included are brushes that feature pumpkins, witches, gravestones, spiders – all manners of things spooky and cute and completely Halloween. As always, I seem to like to start off these features with a little something from redheadstock. Halloween Vectors Brushes contains 33 high resolution brushes that are great for decorating all of your DTP projects like invitations, decorations, or even things like trick-or-treat bag decals. 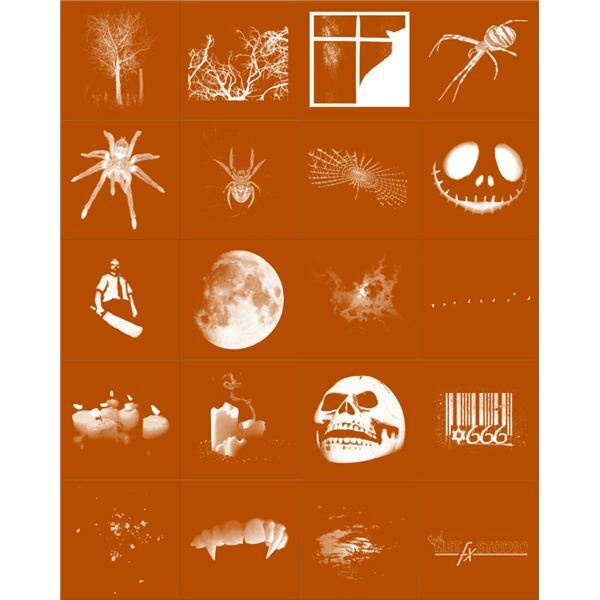 This pack contains all the Halloween classics: Skulls, jack ‘o lanterns, skeletons, spider webs, bats, and so much more. 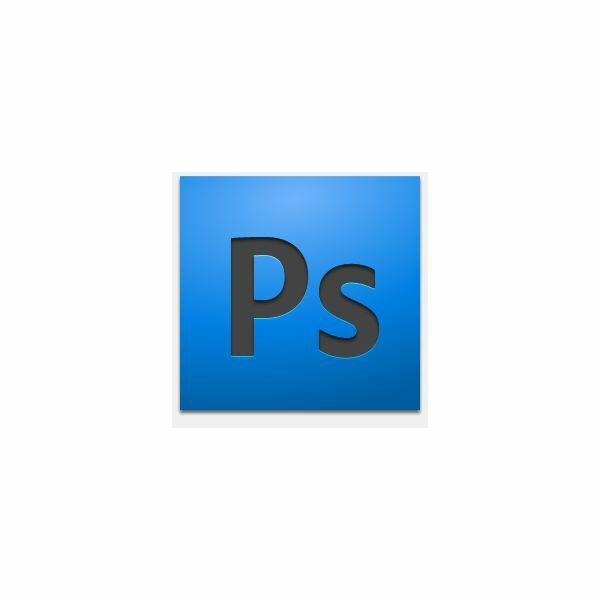 Compatible with not only Photoshop and Photoshop elements, but also GIMP. 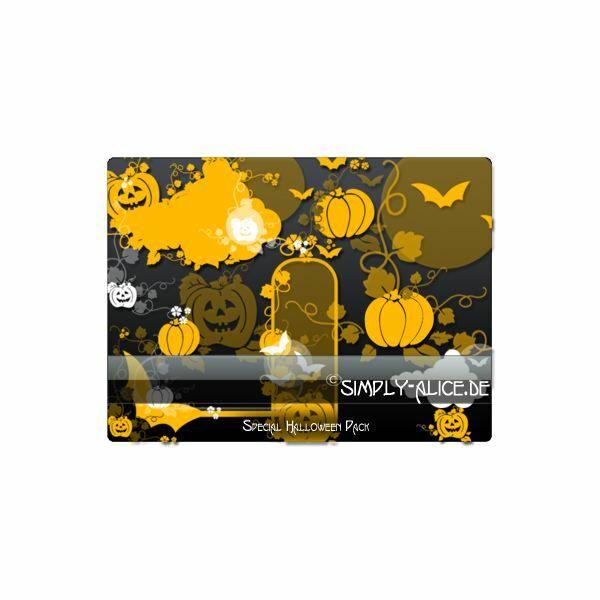 A great pack for anyone looking to add a little something spooky to your seasonal projects. 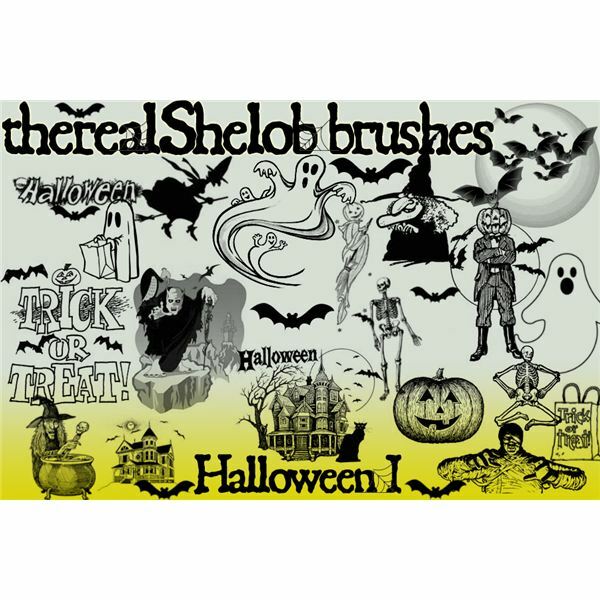 Halloween One is a brush pack by therealShelob, and it contains 20 Halloween themed brushes. Spooky ghosts, haunted houses, trick-or-treat text and bags, witches, and even the Headless Horseman himself all make an appearance in this fantastic brush pack. Special notes: These are not for commercial use, so you cannot sell anything you create with these. Looking for something a little cuter? Maybe you’re doing projects geared toward kids, or you’re just into the softer side of Halloween. Halloween Brush Pack 1 by crazy-alice contains 13 adorable pumpkins and bats to add a cuter, less-scary form of Halloween flare to your projects. Super cute! On the other hand, while cute is fine, isn’t spooky better? SilentMYSTIQUE’s Happy Halloween brushes are much scarier, with grinning skulls, movie monsters, vampire fangs, full moons and even realistic tarantulas. These brushes aim to scare and do a pretty good job! Contains 19 very high resolution brushes for everything from graphics design to printwork. If you’re looking for even more photo-realistic brushes, check out creakystairs’ Halloween horror brushes. Highly detailed bats, photo-realistic brushes, haunted houses, witches hats, and creepy crawly spiders pepper this brush pack along with so many more.